Junior hockey is typically known for its offence and high scoring games, but more often than not it’s strong goaltending that separates the good teams from the great. Some of these goalies are back stopping top team, but will still play big roles in getting their team to where they’re hoping to go. Some of these goalies play a bit bigger role in their teams’ success. Either way, these guys will likely be the difference between a lengthy playoff run, and an early exit. Here’s five goaltenders to keep an eye on during the playoffs. Michael McNiven of the Owen Sound Attack. Photo by Terry Wilson / OHL Images. McNiven led all OHL starts with in goals against average this season, his six shutouts were also tied for the league lead. the Montreal Canadiens prospect has been crucial to Owen Sound’s outstanding second half. He can steal a game, and even a series. If the Attack want to win their second OHL Championship in franchise history, McNiven will likely need to be the MVP. The Attack have won just one playoff series since winning the OHL Championship in 2011, that will very likely change this year. Tyler Parsons of the London Knights. Photo by Aaron Bell/OHL Images. Is there a better big game goalie in the CHL? Parsons already has a Memorial Cup Championship and World Junior gold medal under his belt, and he was a big factor in his team winning both those clinching games. He also recently signed an Entry Level Contract with the NHL’s Calgary Flames. Parson’s lack of OHL playing time likely has him out of the goaltender of the year conversation, but now that he is back and healthy, he might be the stabalizing pressence the London Knights need. The Knights have made it to the second round four of the last five years, with three OHL Championships and four Memorial Cup appearances in that span. Michael DiPietro of the Windsor Spitfires. Photo by Aaron Bell/OHL Images. Goalies face plenty of pressure, especially when your between the pipes for your hometown team, who also happens to be hosting the Memorial Cup. That is a lot to ask of any goalie, especially for a kid who wont turn 17 until June. DiPietro led all rookie goalies in save percentage as a 16 year old, and took that one step further this year. With 51 starts, he was one of the busier goalies in the league, and will be relied upon heavily in the Spit’s playoff run. He’ll need to be very good against London in order to avoid a first round exit for the Memoiral Cup hosts. Matthew Villalta of the Sault Ste. Marie Greyhounds. Photo by Terry Wilson / OHL Images. Matthew’s appearance on this list might catch a few people off guard, he didn’t even start the majority of Sault Ste. Marie’s games during the regular season. The first year netminder was great in the second half, earning the confidence from Greyhounds staff. He’s now in the net more often that not, and will be called upon in the playoffs. ‘Hounds goaltending was a major question mark for me around Christmas, and I was a bit surprised they didn’t make a deal at the deadline. Villalta has been the answer so far, but much like DiPietro, back stopping a playoff run can be a daunting task for a 17-year-old goalie. Alex Nedeljkovic was the last rookie goalie to backstop his team to a conference finals appearance, he did so in 2013 as a 16-year-old with the Plymouth Whalers. Dylan Wells of the Peterborough Petes. Photo by Terry Wilson / OHL Images. Wells had a tough time finding consistency in his first two years in the OHL. There were high expectations coming into the league for the first goalie taken in the 2014 OHL draft, and this season he is living up to it. Only Niagara’s Stephen Dhillon faced more rubber than Wells this season, which is surprising considering Peterborough is a first place team. 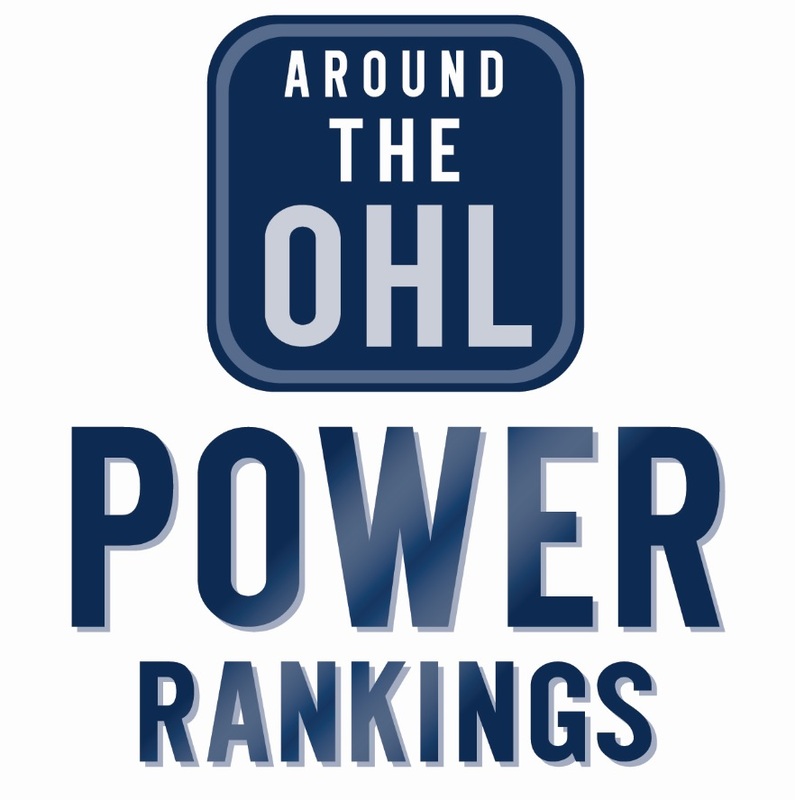 It was the first time the Petes finished atop the Eastern Conference standings since 2006, when they eventually would go on to defeat London to win the OHL Championships. In the ten seasons since theyir last league championship, the Petes have made it past the first round only once. Wells should be a big reason why the Petes can make it even further this year. No goalie faced more shots than Stephen Dhillon this season, and is likely the only reason the young IceDogs managed to squeek into the playoffs. They will be in tough against first place Peterborough, but just getting them to the dance will do wonders for a young hockey club. Mancina, much like the Steelheads, had a dreadful first half of the season. That’s why his numbers don’t exactly jump out at you, in fact they aren’t great, especially for an OA goalie. He is an honourable mention because he is a big factor in the Steelheads turning around their season for the better. He was a back up for Guelph when they won the OHL Championship in 2014, perhaps that experience will help Mississauga to a lengthy run this time around.